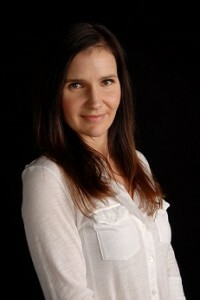 Suzanne is a graduate of the University of British Columbia (BAPsych) and the University of Western Ontario (BScPT). She began her physiotherapy career at a sports medicine clinic in Calgary, AB where she completed her Orthopedic Manual Therapy Levels. Suzanne also completed an Advanced Manual Therapy series of courses which included the craniovertebral and TMJ regions, cervical, thoracic, and lumbar spine regions as well as the treatment of muscle and neural tension. She completed her acupuncture training (AFCI) before returning to Vancouver in 2005. Suzanne uses a broad range of physiotherapy techniques. They include running gait assessment and treatment, manual therapy including myofascial release, as well as core stability education and designing active exercise and rehabilitation programs. She frequently uses needling techniques—IMS and acupuncture—for the treatment of sport and running related injuries, chronic pain, MVA and occupational rehabilitation. injury free while enjoying all the many benefits of running. Her areas of special interests include the prevention of running injuries, core stability rehabilitation, pre and postnatal fitness, chronic neck and back pain and stiffness and TMJ dysfunction.